How unfortunate, but at a time when folks need help the most – at that same time – there are those who find the greatest opportunity to take advantage of those kind enough to offer help. SCAMMERS are in full force concocting schemes to take money that you would give to help and instead help themselves. Whether it’s 9/11 or Katrina – the disaster makes no difference – Scammers have one goal – DEFRAUD YOU. Here are tips offered by the FBI, Better Business Bureau and Scam.busters. Also click here for a video on the subject. Be skeptical of email through Social Networking sites. Don’t click on Links or attached files. Ask for the name and phone number of the charity or request that they put information in writing. Do Not give personal financial information – You’d be vulnerable to identity theft. Ask if the Charity is registered with any organization and get the registration number. Check with CharityNavigator.org. Ask what percentage of your gift actually reaches the needy. Don’t ever donate cash and DO NOT give out your credit car number to telemarketers or use it with a charity you have not checked out. 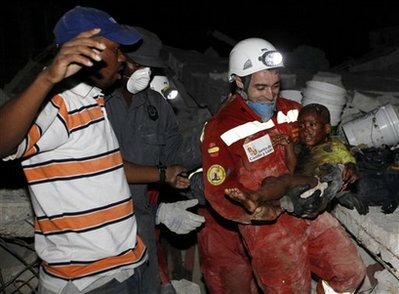 If there is ever a time that the Haitian people need help it is now. That is not true for Scammers. Don’t fall prey to a scam. Make sure your heart felt contribution goes directly to those who need it the most. Here’s a link to a list of charities that are providing relief to the Haiti effort and have been signed off on by charitynavigator.org. HAPPY GIVING TO YOU! You are currently browsing the archives for the Natural Disasters category.